Lock in a great price for Hotel Sao Joao De Deus - rated 8.5 by recent guests. The location was excellent, a short walk to most of the attractions and restaurants. The man at reception spoke very good English and was very obliging when we asked for a room change (no mini bar in the first one). The room was quite large and had everything we needed. There was off street parking available at no cost. Breakfast was quite good and included in the price. Some hotels leave you with a lasting impression, and this is one of them. Originally a restored convent/military hospital it has been very tastefully restored and its unique layout provides an unforgettable experience. 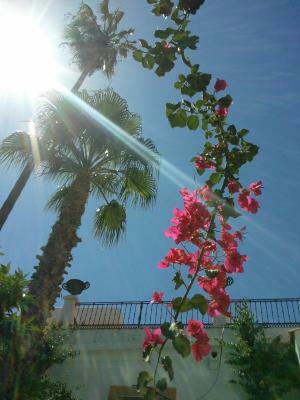 Located on the edge of the old town within easy walking distance of centre, it has the added advantage of free parking. Rooms were comfortable, ours had views over the garden and countryside. Breakfast was good with a wide choice. There is also a restaurant, but this was closed when we visited. An excellent place to stop on our drive from Andalusia to Portugal. Our room was clean and the bed was comfortable. Free safe parking was a benefit for us too. Close to restaurants and shops, in the old city. We would definitely recommend this place. The location and history is wonderful. The staff tried but the place needs a facelift. lovely old building close to the centre. Parking was good but not under cover, perhaps a problem in hot weather. Private parking and helpful staff. There is a private parking just behind the hotel. Room was big and location was great. Unfortunately, there was a problem with the magnetic cards and they needed to open the door manually instead of giving a key with a code. Anyway, it was not a problem since someone from the reception always opened the room for us. Lovely old Portuguese hotel with large rooms and very clean facilities. Excellent breakfast choices . Safe car parking within hotel grounds. Good choice of restaurants close by. Beatiful hotel located in an old building which extends alongside the road and also over it (our room was right above one road tunnel!). Room very big and quiet (even with the road underneath). Private parking on site. Room is large and aged, nice atmosphere. Hotel decorations are also very beautiful. Location of the hotel is nice, 5 mins walk to Elvas old city center. Free parking is provided which is quite useful. One of our top picks in Elvas.Situated in a converted convent in the World Heritage city of Elvas, Hotel São João De Deus features shady gardens and a pool with views of the walled town. The air-conditioned guest rooms of Hotel São João De Deus include free WiFi and a work desk. Guests can benefit from a 24-hour reception. 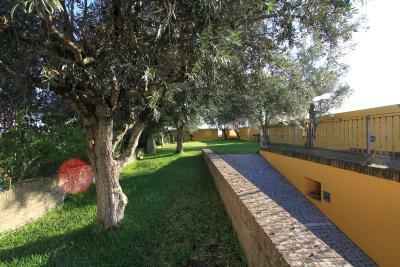 Hotel São João De Deus is situated only 7.5 miles from Badajoz in Spain and a 4-minute drive from the Elvas Bus Station. Free WiFi and free private parking are available. 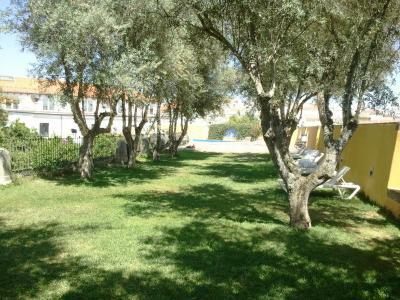 This property also has one of the best-rated locations in Elvas! Guests are happier about it compared to other properties in the area. Hotel Sao Joao De Deus has been welcoming Booking.com guests since 3 Aug 2009. When would you like to stay at Hotel Sao Joao De Deus? With a pleasant and relaxing décor, these rooms are spacious and well equipped. They feature wooden floors, satellite TVs and windows let in lots of sunlight. This triple room has a minibar, sofa and tile/marble floor. 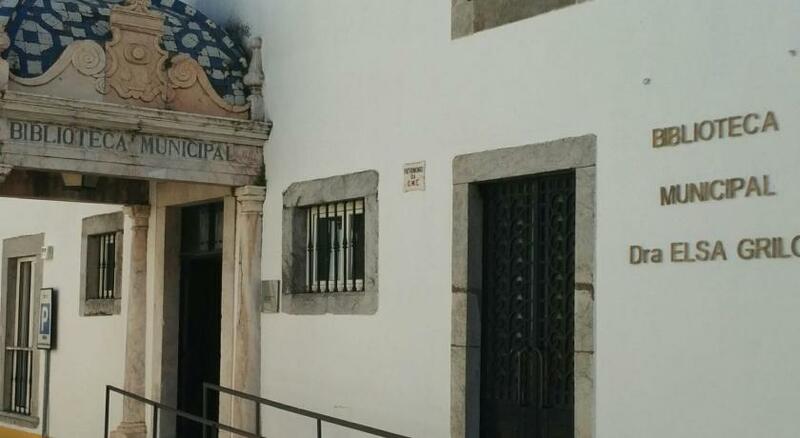 Main hotel unit within the center Elvas History, one of the best of the entire region, its prime location, the monument status, the historical value, attribute no margin of doubt the Hotel an international interest. House rules Hotel Sao Joao De Deus takes special requests - add in the next step! Hotel Sao Joao De Deus accepts these cards and reserves the right to temporarily hold an amount prior to arrival. Breakfast was disappointing -poor coffee, canned fruit, no whole wheat bread. There was nothing we didn’t like! Very disappointed. Especially for a 'supposed' four star hotel. All the furnishings were shabby. Black and brown marks round the bathroom facilities which a spot of mastic could solve. All very dismal and the breakfast was poor - rubber egg and cold bacon. Many hotels we have stayed in at 2/3 the cost were warmer, more welcoming, cleaner and had better food. We shall not stay there again - such a disappointment!!! The location was great within the castle. There was nothing that we could say we didn't like but some things could be marginally improved. The breakfast selection was limited but since we were staying during a period of low occupancy we could understand. We prefer the WiFi to have a password. You showered in a bathtub so getting out of the tub you had to be very careful. The location, the room size, the charm of an historical building. We liked the facilities and would recommend this hotel to our friends. It's not a 4 stars breakfast. More variety of fresh fruit on the breakfast. The bedroom was simple, but confortable. Wifi connection in the rooms. The only wifi was only accessible from the reception area. The bed was extremely hard. Have a backup card reading machine. Fix the wifi! Staff need to give better directions rather than just "it's over there ". Staff need to smile. Beautiful! Interesting to learn that it was a convent/hospital in the 17th century. The room was very spacious and clean. The water was not hot. The room lock did not work and the manager had to open the door whenever we went out. The dining room was closed. We had little assistance with bags from car to room. The WiFi did not work.